Mass Soccer will reimburse any affiliated team up to $250 towards the purchase of an Automatic Electronic Defibrillator (AED) to have on hand at their games. This life-saving device is simple to use and can be easily carried as part of any team's kit. 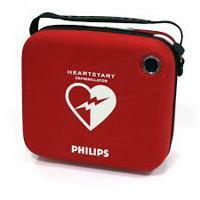 AEDs may be purchased from several qualifying vendors. Mass Soccer has made an agreement with Quality Response Systems to provide these units at a reduced cost. Click on the photo for special pricing. AED Release and Subsidy Request Form.